Over the Christmas and New Year period, I was back in Dhaka - catching up with friends and family, but also spending time with movers and shakers in the Bangladesh ICT4D space. I spent a day with Drinkwell visiting their mobile-enabled ‘water ATMs’ in low-income communities in Dhaka, and I also spent some time with the Maya team. Maya Apa is an app and website aimed at Bangladeshi girls, where they can seek advice about menstruation, contraception, sexual and mental health, and I’m a big fan - safe spaces like this for girls to ask questions about things that concern them are so rare in Bangladesh, and it’s even rarer to have a digital space like this available in written Bangla, not just Banglish. And what I particularly love about Maya Apa is the fact that it’s female-led - the first app in Bangladesh for women by women. After chatting to the Maya team in their Banani office, and seeing how the solution works in practice, I sat down with Ivy Russell, the founder and CEO of Maya Apa, to talk about Maya’s journey. Alex: So how did Maya Apa start? 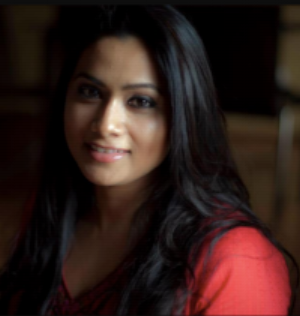 Ivy: When I was pregnant with my first child 7 years ago, I saw that there was no opportunity for women in Bangladesh to seek private advice or counselling. There are so many barriers for something as normal as pregnancy - social stigma, financial barriers, doctors costs, geographical barrier, and no accessible healthcare. There were so many barriers to female mental health care as well: my mother was also recovering from cancer and was depressed, but refused to seek help as she was worried people she knew would see her in the waiting room. So I decided to start Maya Apa, named after my mother, and it started as a information blog. Alex : How has it evolved? Ivy: I started to wonder if just a blog was helping. In 2014, I put a call to action box on the homepage - Ask Maya Anything, where users could ask questions, and it snowballed from there. One user question really stuck with me - a teenage girl had taken the morning-after pill and was bleeding and scared. Her mother was a gynaecologist but the girl couldn’t talk to her, and couldn’t go and see another doctor because they would tell her mother. To me, this really validated the idea behind Maya - a safe space where users can get advice, and we can give them directions to other resources or people who can help them. We’ve now created an app to go alongside the website, and it is no longer just a blog. Alex: What results have you seen so far? Ivy: Maya Apa now has 400,000 monthly active users, and has answered 600,000 queries to date. We have a vast amount of data; Maya is literally data-driven, filtering questions and using AI. We use end-to-end encryption to protect users, which is anonymized, but we can also track user journeys. I’m really proud of the trust and the brand that Maya was able to build - through anonymity. We get many users saying ‘What I’ve told you, I’ve never told anyone else in my life’. Alex: Is there anything that has surprised you? Ivy: One of the surprising findings has been how much men use Maya Apa. Although Maya Apa is designed for, and targeted to, women, 40% of questions actually come from men, who get nervous about their wives’ pregnancies. They ask questions about the women in their lives, but also ask about themselves and the pressure on men providing for their families. Alex: What’s next for Maya Apa? Ivy: We’re looking into expanding to other South Asian countries as well as adding channels for non-internet or smartphone users. Maya Apa was also recently the first start up from Bangladesh to be selected for the 5th Google Launchpad Accelerator, where five of our team will spend three weeks working with experts in a bootcamp Silicon Valley. Find out more about Maya Apa here!